Hi! How are you all? It's Winnie & Walter's 4th Birthday so there are a number of events. The first is a set of challenges with some great prizes! I have the privilege of hosting a challenge and mine is a Grid Challenge. There are a number of ways you can tackle this, and I've got 3 ideas to get you thinking. First up, using grid paper to stamp your images on. I absolutely love graph paper and it provides you a wonderful textural effect too. 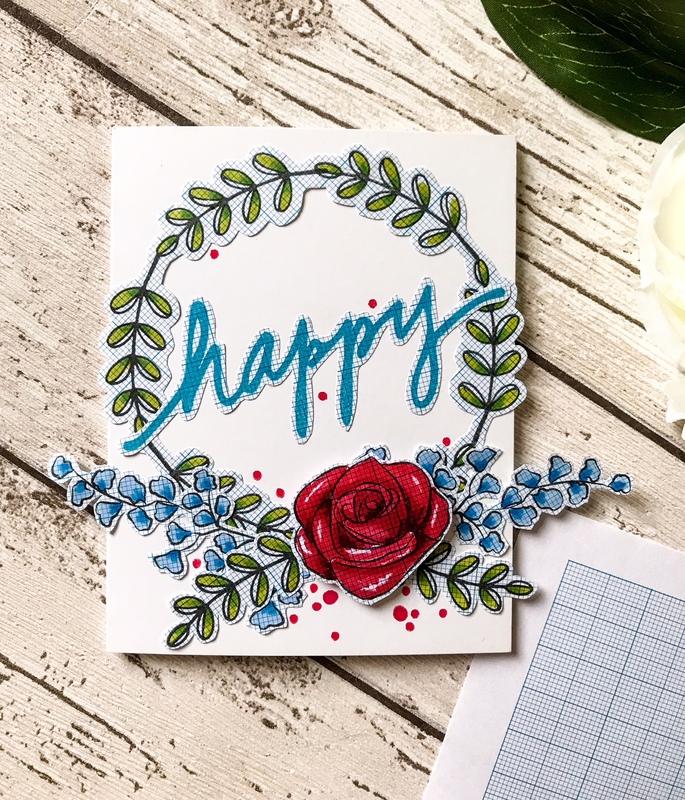 To create this card I've used In Bloom: Elsa's Flora, Framed With Evelin T Designs, In Bloom: Addie's Garden and In A Word: Happy. For the second card, I've used the grid structure found on the Creative Screenings stencil 'Buffalo Check'. Wish Big With Evelin T Designs and In A Word: Friend Cutaway. I've also used some grid patterned cardstock. For my final idea, I've stamped in a grid formation which is a quick and easy way of designing. I've also used some grid patterned cardstock to add another dimension. 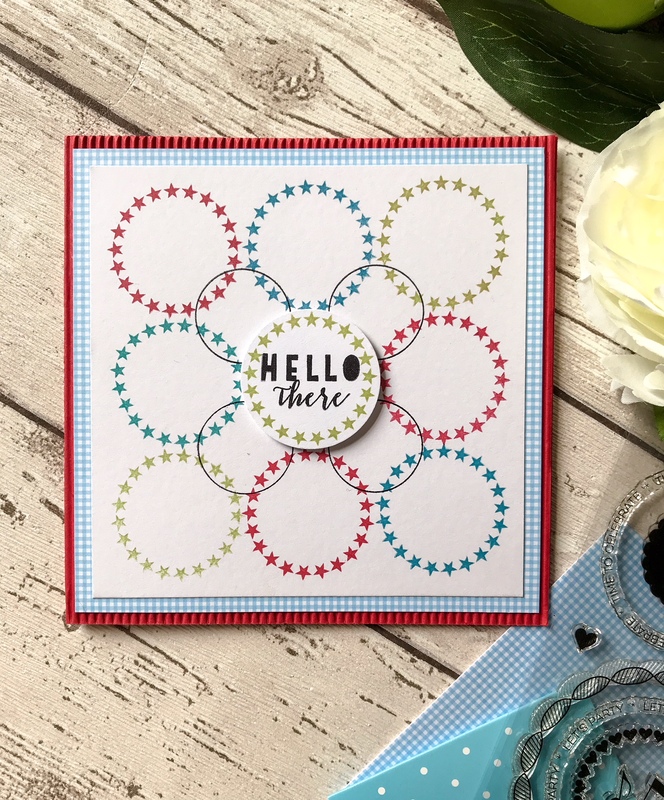 I used Ring in the Celebration set for the stars and Sketchy Thoughts for the sentiments. I hope you'll join in and try some of the other challenges too. Sounds interesting with such awesome inspirations! The wreath with grid textures is just an awesome idea, so clever, love it! 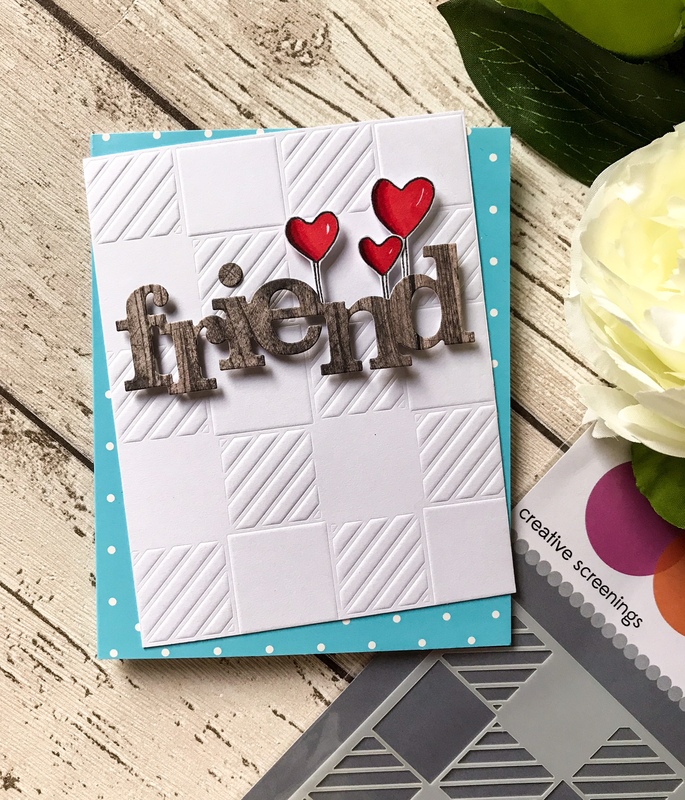 You're always so creative--love each of your cards! Thanks for the great challenge! WOW!!! So creative..Love all the beautiful inspiration..Great challenge.. I have some grid cardstock that would be perfect for this challenge, and will motivate me to actually use it for the first time! I love this challenge! I have an idea of what I might be doing!! This will be a fun challenge to try and think of something new! Thanks for the inspiration and ideas! So many gorgeous cards with lots of options here! Thank you for the inspiration! I went with the grid paper freebie since I just placed my first order a few days ago and it hasn't arrived yet. Happy 4th birthday, Winnie and Walter! Joined in a couple times, but today finally actually using a bit of grid paper! Thanks for the challenge. Winners of the February 2018 Release Giveaways!